Two days ago, early morning, maybe 6:00, I saw a flock of geese flying north. It was a sizable flock and I said aloud to them, “Kind of late, aren’t you kids?” They ignored me and kept flying. Maybe 20 minutes later I saw another flock. 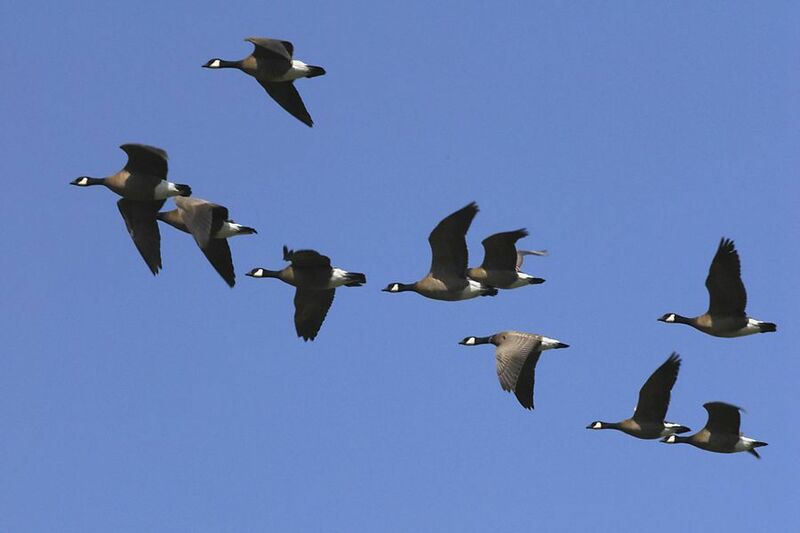 Within an hour I saw a total of four vees of geese on their way to cooler climes. What gives, I thought that morning. And I keep seeing them. I saw more yesterday morning, and again this morning. Plus I have seen others later in the day. Today is June 3rd. It seems late for geese to be flying north, at least over the Champlain Valley. I don’t remember seeing so many geese flying north so late. Aberration? Or poor observation by me in the past? Or both? Speaking of wildlife, my son and I walked down to the river this afternoon and we got a good look at a green heron. That was a treat. And he learned to recognize a red-winged blackbird today. On my morning runs the past three days I saw a deer who almost, I kid you not, ran into me in the fog as it ran away from other pedestrians; a painted turtle crossing the road; and about 795 rabbits who all of a sudden decided to come out of the woods. Maybe the geese told them to do it. Whenever I see those rabbits I fear they will find my garden and decide to snack. I sometimes run after them and make monster-like noises. I want them to be afraid of me so they stay away from my precious vegetables. I feel like Farmer McGregor. Hand me my sack, will you? Damn bunnies. I wish the geese would call them north. Or just eat them. Either way, I’d be good. This entry was posted in birds, gardening, Nature and tagged bunnies, deer, garden, geese, rabbits, spring. Bookmark the permalink.